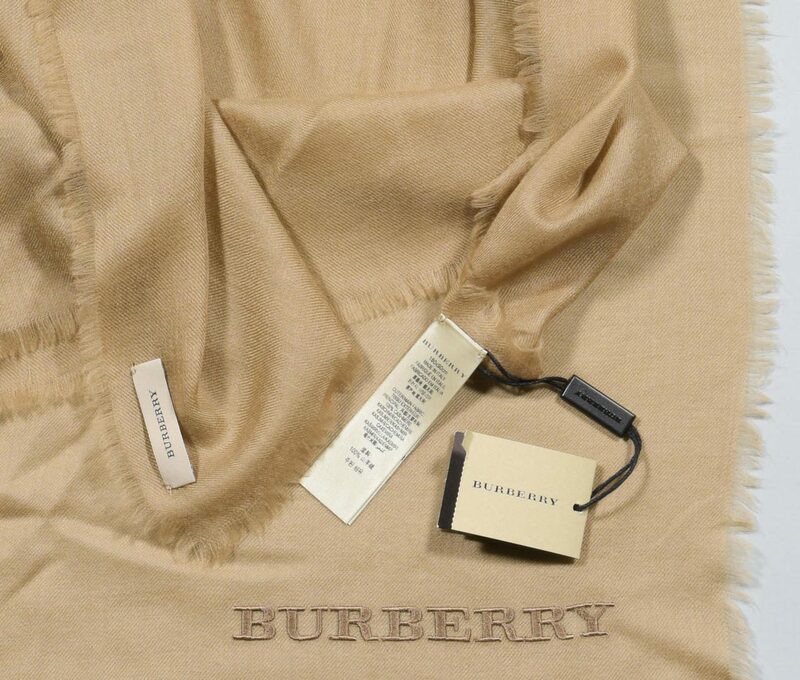 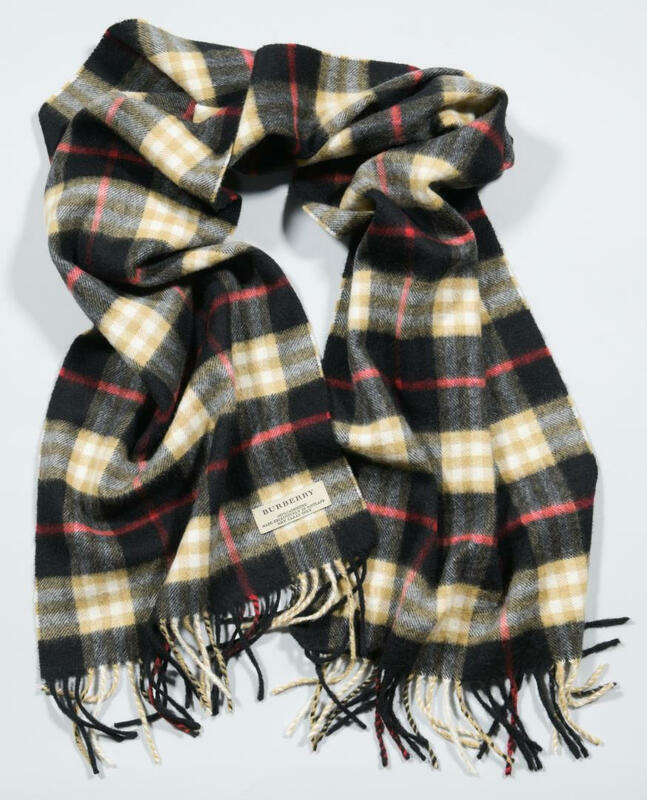 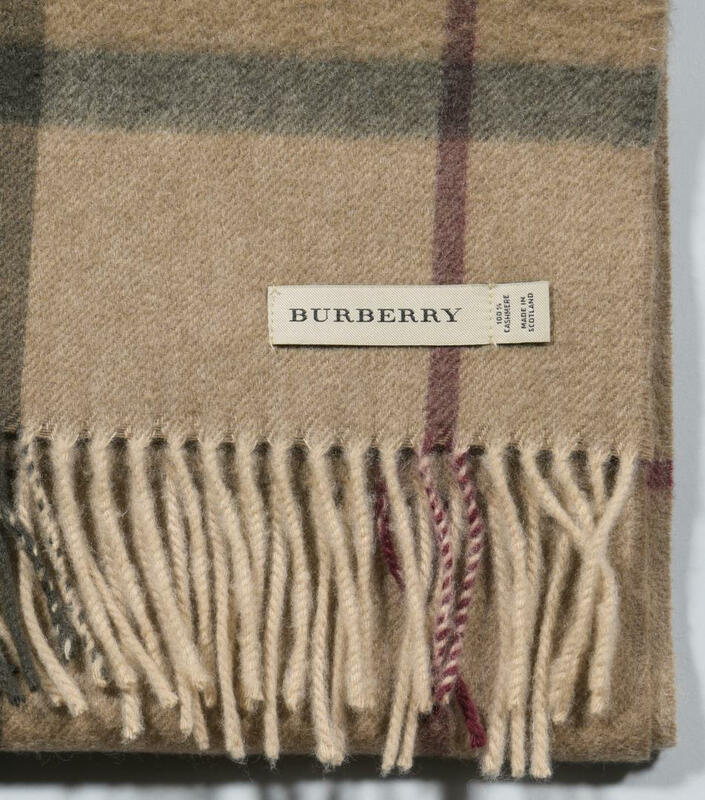 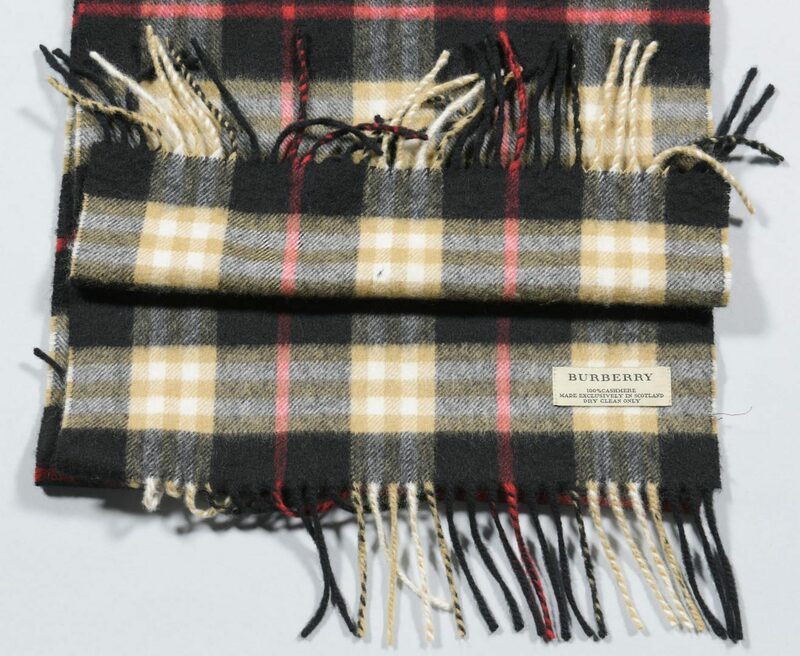 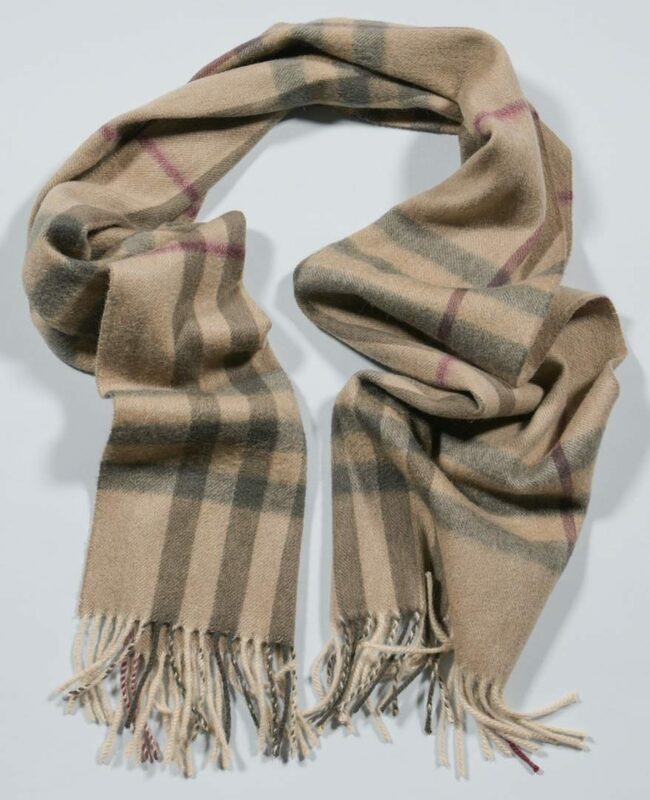 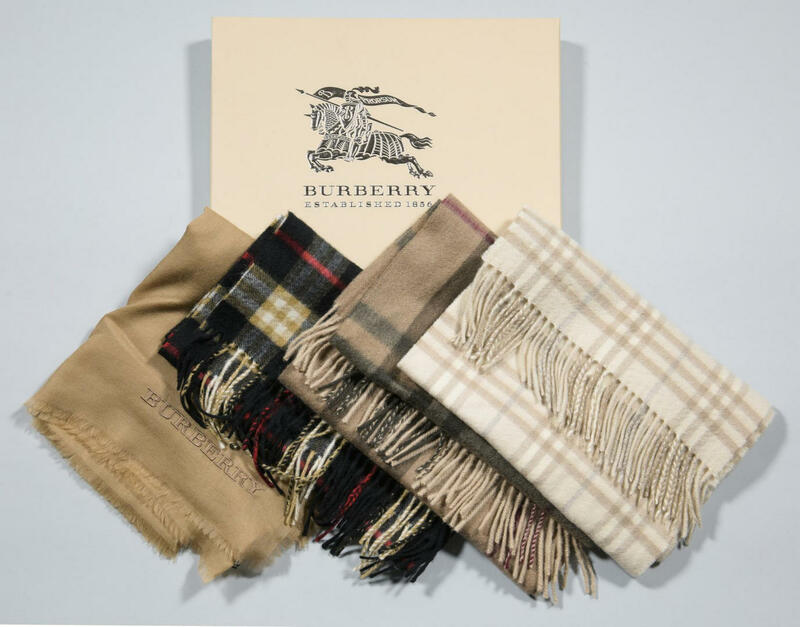 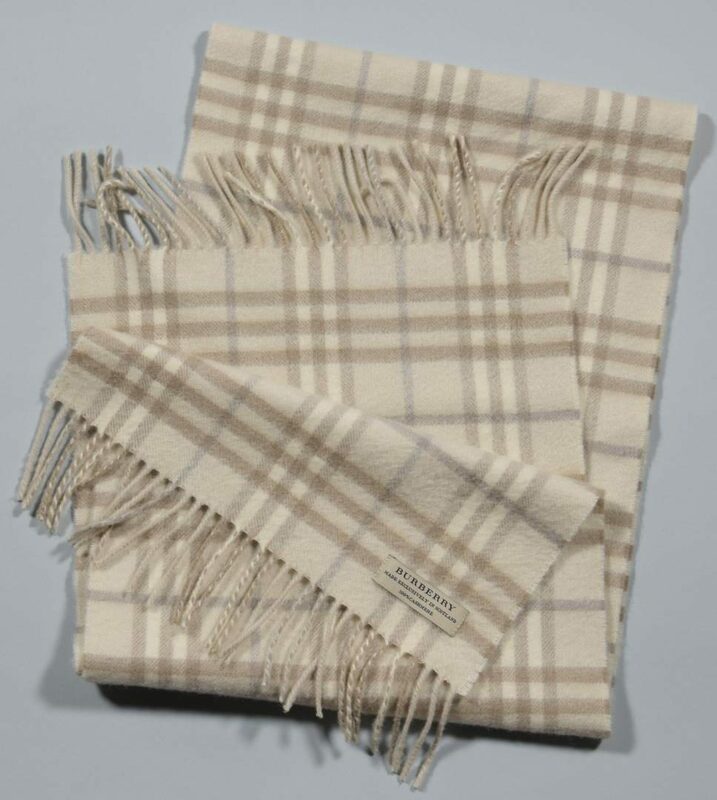 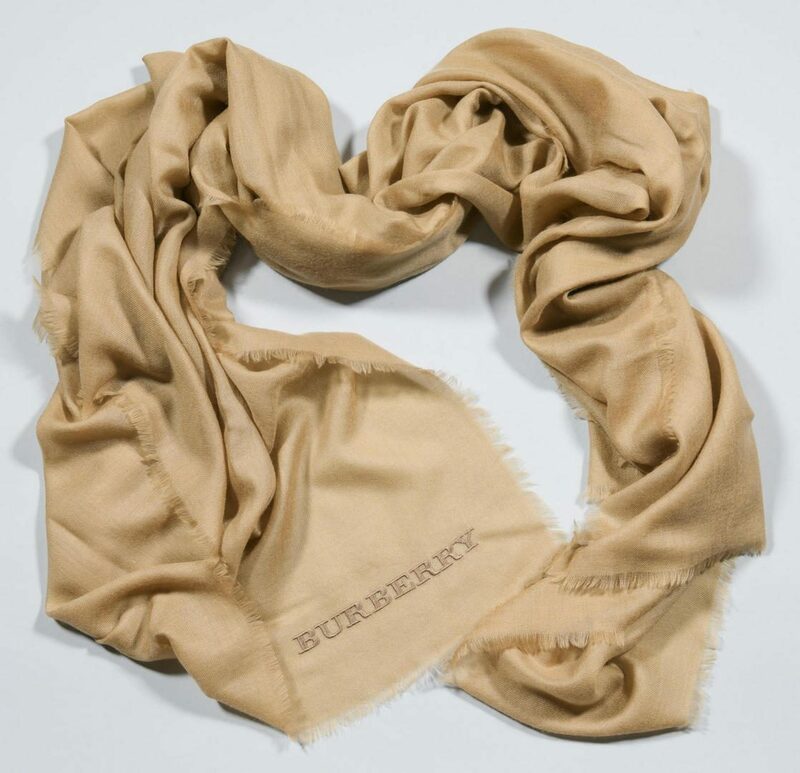 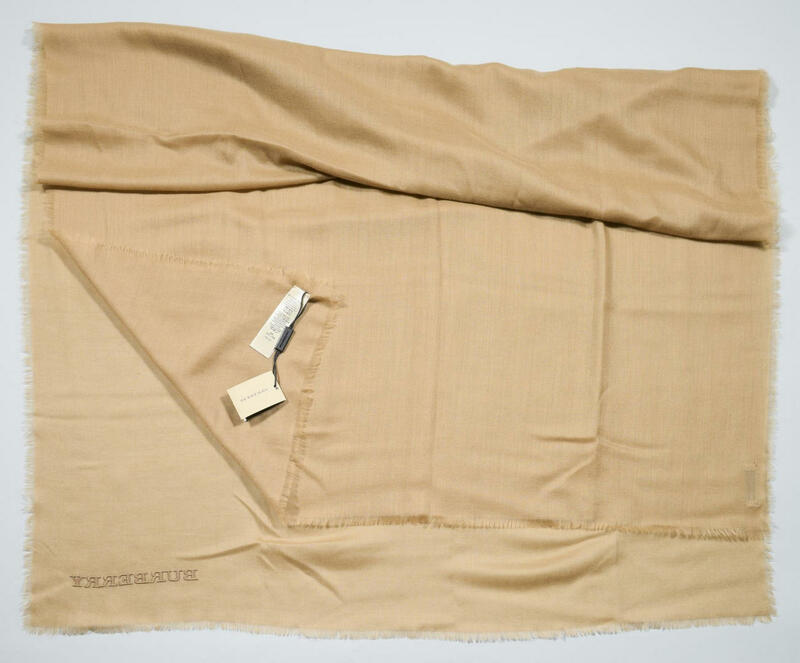 Four Burberry cashmere scarves, including a NWT camel lightweight cashmere, 70" L x 33 1/2" W. Also three plaid cashmere scarves in various neutral shades, 58-70" L x 12" W. Estate of Jane McKinnon, Lenoir City, TN. 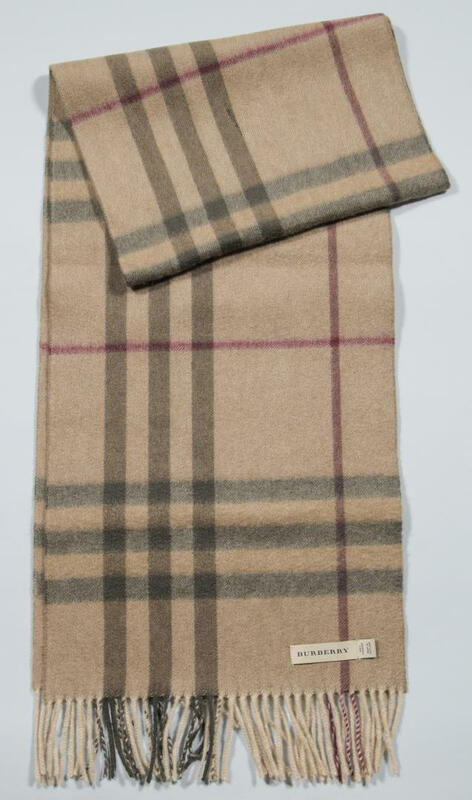 CONDITION: Lightweight scarf in new condition. 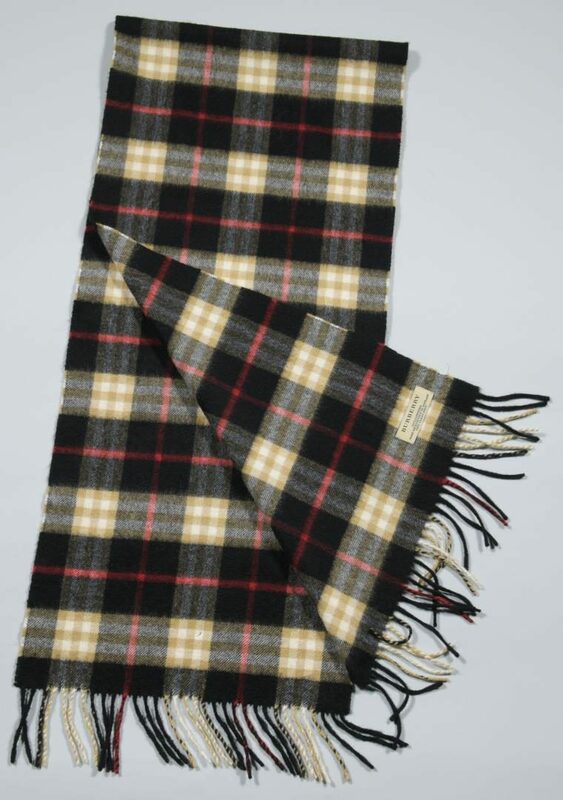 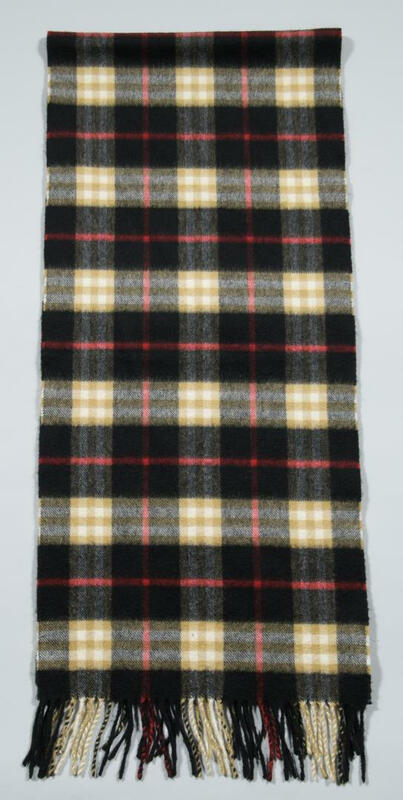 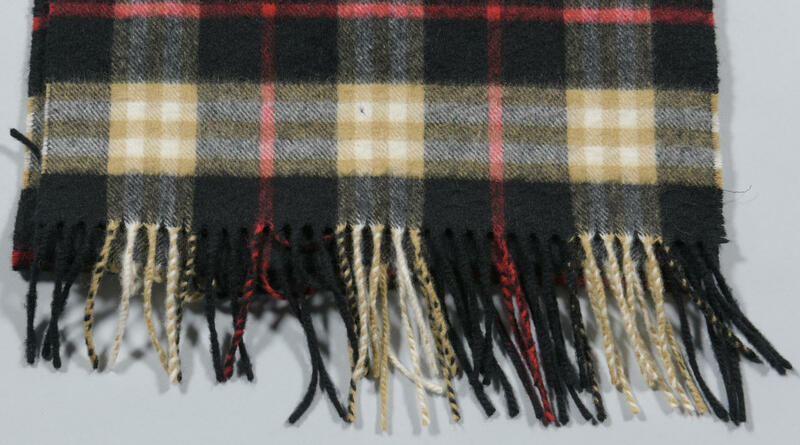 Black plaid cashmere scarf has 1/4" cut near fringe. 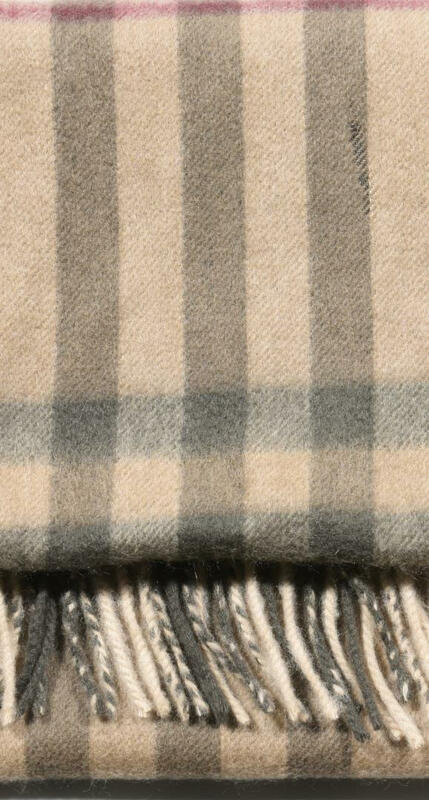 Taupe scarf has 1" damage near center of scarf.